Nowadays, single companies are confronted with great difficulties. The progress of the information technology and the distribution of the Internet as well as the changing demand of customers, especially for no-standardised products force them to react immediately.In order to solve these problems, the companies should work on the following aspects:How can they reach the state of flexibility to meet the changing demand? How can they compete within a market with increasing innovations of products and decreasing product life-cycl? How can they acquire the necessary capital, technology and know-how to compete? 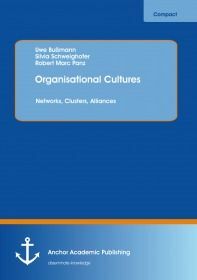 How is it possible to optimise their corporate structures and achieve synergetic effects?